This entry was posted in Plumbing on December 23, 2016 by . We’ve finally reached the first day of winter in 2016, and that means the cold days and nights are in full swing. Even though San Diego is blessed with what the rest of the world considers warm temperatures all year long, the temperature can still dip into the 30s on the rare occasion. What does this mean for your plumbing? Frozen, cracked, or burst pipes at its worst. Even if we don’t end up seeing freezing nights this winter, it’s important to know how to prepare your plumbing for winter in San Diego – if not now, then for future years to come. Below we outline 5 tips for winter plumbing preparation that you should follow in order to ensure the longevity of your plumbing system. First thing’s first – you NEED to familiarize yourself with your plumbing. We recommend that everyone in the home knows where the water main shut-off valve is. Why? The kids need to know in case there’s an emergency leak while mom and dad are at work or on vacation, and mom needs to know because, let’s face it, handywork isn’t just for men. If a pipe bursts or a sudden leak occurs, the first step should always be to turn off the main water valve and stop more (extremely expensive) damages from occurring. Cold pipes become brittle, and this means a greater risk for cracked or shattered pipes – and, consequentially, leaks. All pipes that are exposed to the outdoor air should be insulated, and if they already are, you should check to make sure all insulation is still intact. We’ve heard stories of rodents eating away at insulation, so keep an eye out. If you have an attic or crawl space, make sure the pipes are insulated there as well. You likely won’t be watering your lawn in winter (especially because your lawn goes dormant when it’s cold outside). 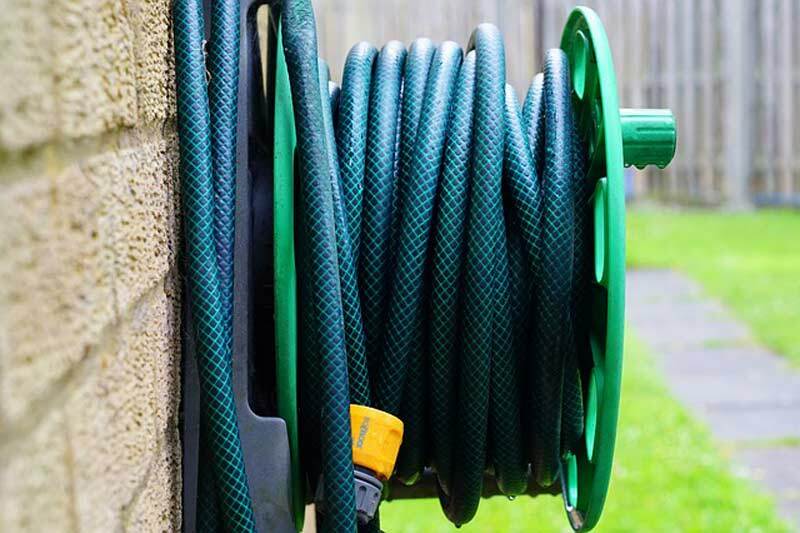 Your gardening hoses are made of rubber which, you guessed it, becomes brittle when exposed to extreme cold. You might as well pack up and store any hoses that you aren’t using so they stay durable for longer. You should also empty out your spigots so that there’s no water insdie that will freeze and cause damage. You should also winterize your sprinkler system by draining any remaining water from the pipes. Remember, water freezes, and when it does it expands. This means that pipes with water inside will be at risk for bursting when exposed to freezing temperatures. Before retiring your irrigation system for the season, run them one last time for good measure. Have your local plumber check your plumbing line for leaks before winter starts. Any leaks, no matter how small, will be a rude awakening if you wait to fix them until the spring. Small constant leaks all winter mean a big spike in your water bills, and you need to save all your pennies during winter for buying holiday gifts! The main takeaway we want you have is that seasonal maintenance is not a joke. By being proactive instead of reactive, you can spare yourself a lot of stress and a lot of money on fixing your plumbing line. Call your local plumber today to schedule winter maintenance for your plumbing line in San Diego, CA.